J103 plays your favorite contemporary Christian music on 102.7, 103.1 and 105.9. J103 provides twenty-four hour mix of several genres and styles of music. The station plays all the music you love while striving to keep up with the desires of its listeners. Partners for Christian Media, Inc. (PCM) is a nonprofit ministry based in Chattanooga, TN whose primary function is to operate a Christian music format radio station that is simulcast over two frequencies, WBDX (102.7 FM, Chattanooga) and WJLJ (103.1 FM, Cleveland, TN), and one translator (W20BG, Signal Mountain). In the region, the station is popularly known as J103 and has been broadcasting since March, 4th 1995. 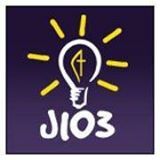 J103 plays your favorite contemporary Christian music on those FM stations, but also is streaming worldwide at J103.com and via our Android and iPhone apps. This station is only possible by the grace of God, and support from our listening partners like yourself. J103’s Mission is to communicate the Gospel of Jesus Christ through media and music. We seek to serve Christians as well as reach non-believers, as indicated in our Vision Statement: “To encourage Christians, evangelize non-Christians, and minister to ministries.